Will the present growth rate of 7% plus of Bharat stay on course after the announcement of steep tariffs on American goods by China? How does the China-US trade war affect our economy? This Tuesday, the Trump Administration announced several tough measures to ‘protect’ the American economy from China made products. This move was expected because the American President is a strong supporter of saving American companies and jobs. Readers will remember that one of his campaign themes was to generate more jobs even if it meant saying goodbye to environmental concerns. True to his words, the American government rolled out a list of China-made products that could attract tariffs as high as 25 %. But this wasn’t the first penalty that the Americans had imposed on China. Last month, Trump had imposed stiff penalties on Chinese steel and aluminum coming to America. These measures were later followed up this Tuesday by throwing a list of products at the Chinese which would become costlier from June 2018. The Chinese did not wait long to retaliate. This Wednesday, they announced new tariffs on American products like soya, cars, and chemicals. The list of penalized products is long- it has 106 products on it and the total additional customs duty on these is USD 50 billion. Unlike America, China has not announced any cut off date for additional customs duties to kick in. Watchers of US-China trade relations believe that Trump seriously wants to undercut the ‘Made in China’ initiative. He doesn’t say so openly but maintains that the Chinese use unfair trade practices. President Xi Jinping aims to upgrade his country’s manufacturing capabilities by 2025 through this program. Scott Freeman in his article on this program says that China plans to achieve multiple goals through the ‘Made in China’ initiative. The first goal is to paper out the unevenness of Chinese manufacturing. On one end of the spectrum, the Chinese are world-class innovators while on the other end, they are also cheap imitators. Xi wants to make Chinese manufacturing uniform in quality. The other major goal of this ambitious program is to be less reliant on foreign products. China wants to achieve the goal of raising its domestic components in core products to 70% by 2025. Lastly, through the ‘Made in China’ program, China wants to occupy the top slots in global manufacturing. It wants to position itself at the top of the manufacturing value chain. To achieve this goal, the country has identified a few technologies like robotics, automated machine tools, new energy vehicles, green technologies and other products. Clearly, China has raised its bar for performance and 2025 is going to be a watershed year. As Bhartiyas, we need to understand the full implication of the ‘Made in China’ initiative and compare it with our progress on the ‘Made in India’ front. Do we have a similar vision and zeal as China? To be fair, the United States is the losing side in US-China trade. China is America’s largest trading partner and is also responsible for much of its trade deficit which in 2017 was USD 566 billion. China accounted for 60 % of this figure. America blames China for its trade woes and hence the penalties on China-made products. But is the American trade deficit rising? In 2006, there was a record trade deficit of USD 748 billion, and since then, Americans have been exporting more and more. Trump feels that the 2017 figures can be brought down further and this can be done only by increasing custom’s duties on products of those countries that run trade surpluses with America. And China tops the list. Fortunately or unfortunately, Bharat is also on this list which is drawing Trump’s attention. Our trade surplus with the US is USD 20 billion or so. It is not a huge amount from the American perspective. Smaller countries like Mexico (USD 70 billion), Germany and Japan (roughly USD 60 billion) are more important for Trump. 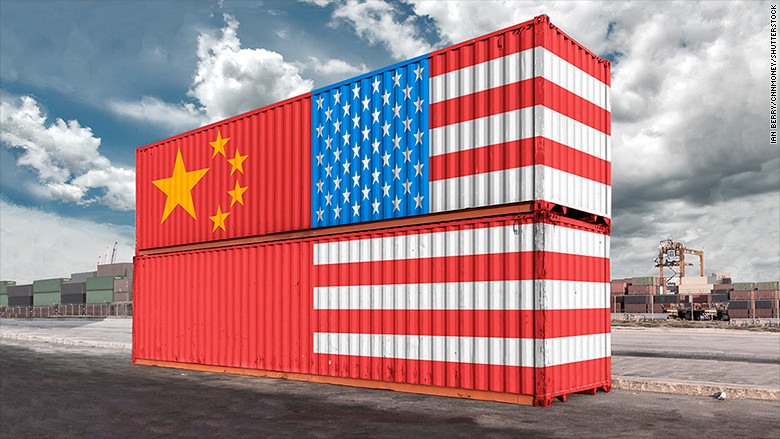 It would be simplistic to assume that our country would be negatively impacted by the latest China-US trade war. I am one of those optimists who believe that because of this trade war, some Bhartiya products will find China to be an even more attractive market. So, if you are a cotton exporter to China, you may find this market more attractive in the days to come. American cotton will become more expensive for the Chinese after this trade war, and the next country to benefit will be Bharat. The United States, so far, has been the largest exporter of cotton to China. Bharat is placed at the second position. Similarly, Bhartiya soya will become more competitive in China after the imposition of a 25% duty over American soya. This product is used for feeding livestock and is crucial for Chinese agriculture. Meat exporters too will find the Chinese market very competitive. Currently, Bhartiya exporters cannot ship frozen meat directly but post the trade friction between the two countries, they can sense a USD 4 billion opportunity in China. Equity analysts are keeping a close watch on how the China-US trade war pans out. Some of them fear that in the short to mid-term, Bharat may become a less attractive destination for foreign investors. Last Wednesday, Bhartiya stock markets reacted negatively to Chinese reactions to American duty raises. But what about the star performing engineering exports industry? Well, it seems that this sector might get caught up in the crossfire between US and China. Engineering exports grew by 47% to the US and 76% to China. Exporters are worried because the Trump administration’s decision of raising customs duty on Chinese steel and aluminum might adversely impact Bharatiya engineering exports. Then there are those trade and industry watchers who believe that this trade row will hardly impact our industry. Actually, our share in global trade is just under 2%. If we speak of commercial services, our global trade share is around 3%. Services here refers largely to IT consulting services. So, it pays to be an underperformer right? But this is a risky thought. We still run a considerable trade surplus against the US ( USD 20 billion+) and run the risk of attracting Mr. Trump’s attention. If Mr. Trump trains his guns at us then it will hamper our efforts of carving a 5 % share of the global trade by 2022. There is already some chatter on limiting work visas of IT professionals going to the United States. Gems and jewelry form an important part of Bharat’s exports to the United States. They attract a 6% duty there and many businessmen fear that it might go up. The fears of diamond merchants may not be out of place. Remember, Bharat still runs a trade surplus of USD 20 billion with the United States and Trump can walk the extra mile to bring his overall deficits down. To sum up, the next few months will be interesting for observers of the China-US trade war. The real picture will emerge only in June 2018 when the new American tariffs kick in.